Attis Theatre was founded in 1985 in Delfi, by Theodoros Terzopoulos. Its aim is a research of ancient greek tragedies and significant plays of the international dramaturgy. Throughout all these years, Attis Theatre has presented a lot of performances all over the world. It collaborates with international festivals as a co-producer. It organises workshops and conferences. For the final outcome of Attis Theatre's website, we collaborated with busybuilding, the design of which, we developed, using Joomla CMS and custom templating, as a full dynamic website. 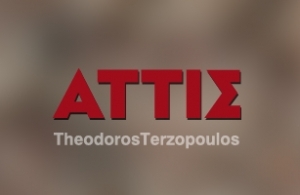 In intros.gr, we are proud of the website of Thodoros Terzopoulos (ATTIS Theatre)!